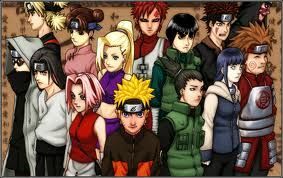 You are going to Watch Naruto Shippuden Episode 150 English dubbed online free episodes with HQ / high quality. Stream Anime Naruto Shippuden Episode 150 Online English dub The Forbidden Jutsu Released.Shiranami has Hotaru in a binding jutsu that keeps her restrained in one place. Shiranami asserts that Hotaru is nothing but a vessel to collect the natural chakra energy that will release the jutsu. Utakata and Naruto arrive but are held back by Shiranami’s binding jutsu. However, they manage to free themelves. Meanwhile, Team 7 struggles with the bandits and villagers and is unable to advance. Finally, Shiranami gathers all the energy he requires and releases the Fury Jutsu.